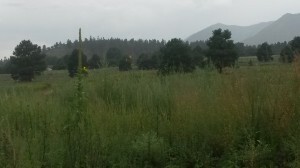 Head out on Highway 89N and there you’ll find the Timberline area of Flagstaff, AZ just West of the Highway. Timberline is known for its large lots, horse-friendly zoning, and beautiful mountain views. Within Timberline, there are places where you can see Mount Elden, Peaks, and the Sunset Crater. 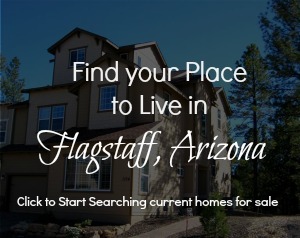 Homes in the Timberline area of Flagstaff, AZ sit on lots that start at 1 acre. The typical lot size ranges from 2.5-5 acres, but you can still find lots even larger than that! The prices vary greatly depending on lot size, age and size of home, and whether or not the home has current horse facilities. Most of the streets are gravel and maintained by the County. Timberline has access to Doney Park Water, so no need for private wells. The homes are on private septic systems, and have access to gas and electric services through private companies.